Traveling to Cancun can be a fantastic experience. It is a fascinating destination and there is plenty to see and do. But it is important for visitors to be aware that they are in a foreign country and the rules may be a bit different than at home. A short review of these guidelines will help insure that your trip to Cancun is a more enjoyable one! For tips on how to stay healthy in Mexico drop by out STAYING HEALTHY IN CANCUN page. Your vacations are too special to become ruined by an avoidable situation. Reviewing these ideas will help you make the best of your trip south of thr border. Mexico City is a good example of a city that has a crime problem. Although it is by no means rampant, there is a greater likelihood of being exposed to crime in Mexico City than in some of the more controlled tourist destinations such as Cancun or Los Cabos. The good news is that there are things you can do to make your trip to Mexico safe. Seasoned travelers know that one of the most important things they can do to avoid being robbed is to leave their valuables stored in a safe place before leaving the hotel. Traveling out and about with all of your travel cash, credit cards and important documents on your person is usually not necessary, and a sure way to increase your risk of a bad day. Taking a small travel wallet containing just the items you need for that days is a much better idea. Women traveling in Mexico usually have a great time, but they have a greater concern when out on the town. Like traveling in any large town it's a good idea not to be out alone late at night, or to wander around dark or empty public areas or beaches. Most Mexicans have a great respect for women, but there can be bad apples in every bunch. Remember, under Mexican laws you are considered guilty until proven innocent. It's the same way in many other countries in the world. 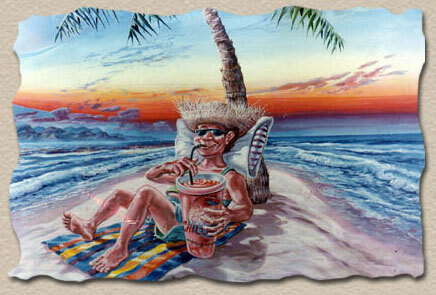 If you really have to get high while in Cancun your best bet is to sample the local cervesa or tequila. They are some of the best in the world! 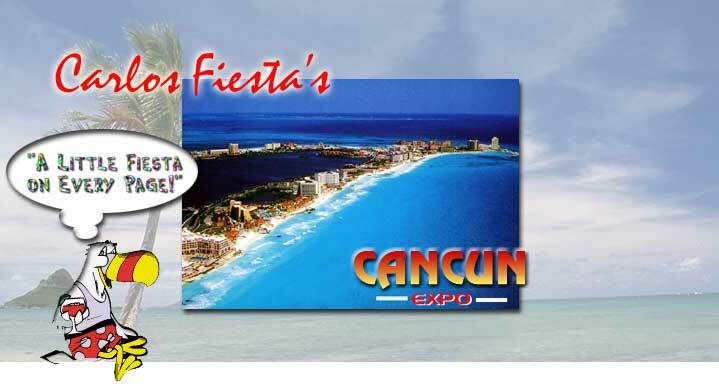 For more information visit the TEQUILA section of Cancun Expo! If you are planning on spending any time in the ocean, it's a good idea to keep an eye out for Jellyfish and Stingrays. Both of these critters like warm ocean water, and the ocean water's in Mexico are warm all year long. But both Jellyfish and Stingrays seem to hang out at different places at different times of the year, so it's best to inquire about the current situation before you go in the water if you are concern. The good news? Sharks really aren't a problem in Cancun, and Jellyfish and Stingrays are rare. Coral is another animal to avoid when you are in the ocean in Mexico. Because much of Mexico's water are in the tropics, coral is very common in Mexico. It may look like a collection of colorful rocks, but coral is actually a collection of live organisms and some of them can cause a significant and painful rashes when put in contact with the human skin. Look but don't touch is a good motto for coral. Most of the coral in the Cancun area is offshore, so don't worry in the beach areas. Back on shore there are animals that are a bit dangerous, but you will probably not see them unless you head into Cancun's back country. Scorpions and snakes are not uncommon in many parts of inland Mexico, but there are things you can do to stay safe. Scorpions can have a pretty mean bite, even the small ones, so it's best to keep your distance from them. They like to hang out in dark places and in areas of wood. So if you are in a part of the Yucatan Peninsula that is known to have scorpions it's a good idea to check your shoes before you put them on in the morning, be extra careful when collecting firewood, and closely examine your pillows, blankets or sleeping bag before getting tucked in for the night. Snakes tend to enjoy the open spaces, and there are plenty of open spaces west of Cancun. They are often out and about during the day, but they don't really have a habit of hiding. So keep your eyes open when you go for a hike, and if you see or hear a rattling noise that sounds like it might be a snake, casually head in a different direction. Driving in Cancun is a great way to add more depth to your visit. Following a few simple rules will go a long way towards keeping you safe. Being properly insured is a good starting point when driving in Cancun. Mexico only recognized auto insurance that has been issued by a Mexican insurance company. And carrying liability insurance will keep you out of jail in case you are involved in an accident. Remember, in Mexico, as with many other countries, you are considered guilty until proven innocent. Liability insurance will shield you from the possibility of going to jail until the details of the accident get sorted out. Many of the main roads in Mexico are used by the tourists and the local people...at the same time. That means the "Type A" guy from Los Angeles who just got into his rental car will be sharing the road with the Mexican farmer in his pick-up truck who is slowly making his trip into town to pick up his annual perscription of Viagra. Being aware of the different speeds that vehicles travel at in Mexico is very important. Cattle are another issue when driving in Mexico. The main roads south of Cancun are usually free of aninals. Cows, donkeys, horses, goats and sheep all end up on the backroads sooner or later. Keeping an eye on the road well ahead of your current location will usually allow you to keep ol' Bessy's big brown eyes off of the hood of your rental car. In an effort to help the U.S. stem the flow of drugs from Central America and Mexico to the U.S., the Mexican government often sets up drug inspection "check points" on main roads, run by the Mexican Army. These checkpoints are not very common on the Yucatan Peninsula, but are possible. These young soldiers are only doing their job and the rarely take more than a few minutes of your time when inspecting your vehicle. Being friendly and fully cooperative goes a long way towards getting you back on the road as soon as possible. Yes, those big rifles they have strapped on thier sholders are real, and they probably have bullets in them.